Willow is a particularly versatile bioengineering tool due to its exceptional ability to regenerate from cuttings and branches. 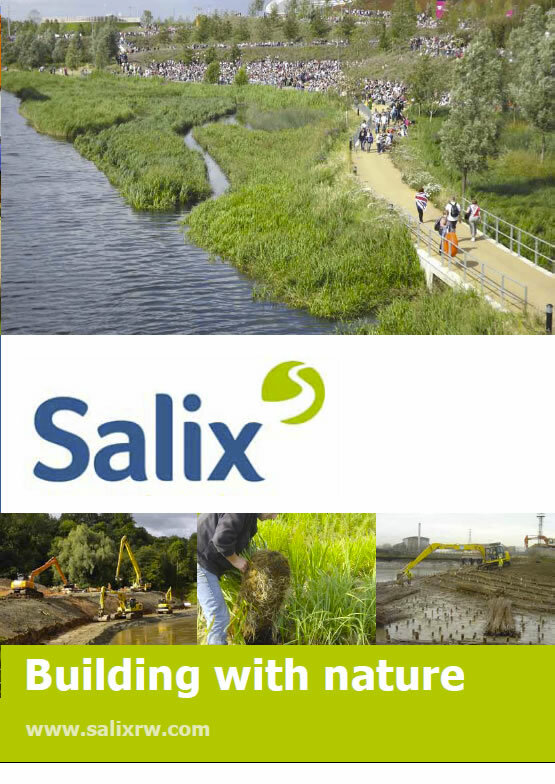 Salix have extensive experience of live willow revetments, with numerous revetment types used throughout the UK on all river types. If possible we harvest material locally to ensure that the local biodiversity is enhanced and that unsuitable sub species are not introduced. 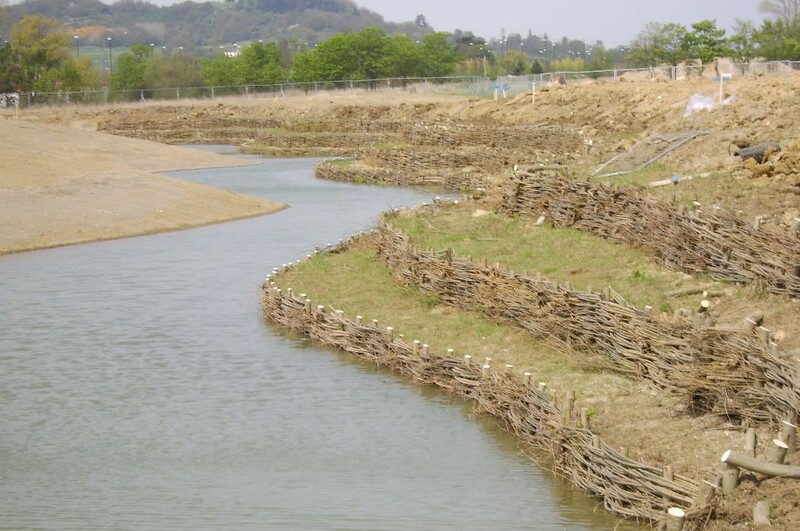 Live willow revetments are ideally suited to large river channels and can provide riverbank stability with high biodiversity value. A live willow brush mattress is capable of withstanding very high flow velocities and is therefore suitable in higher energy, mobile gravel bed rivers. The branches absorb flow energy, trap sediment and seed and as a result evolve with high biodiversity value. River scale flume trials undertaken in Austria demonstrated that this revetment, with one season’s growth, could withstand velocities over 5 m/s. 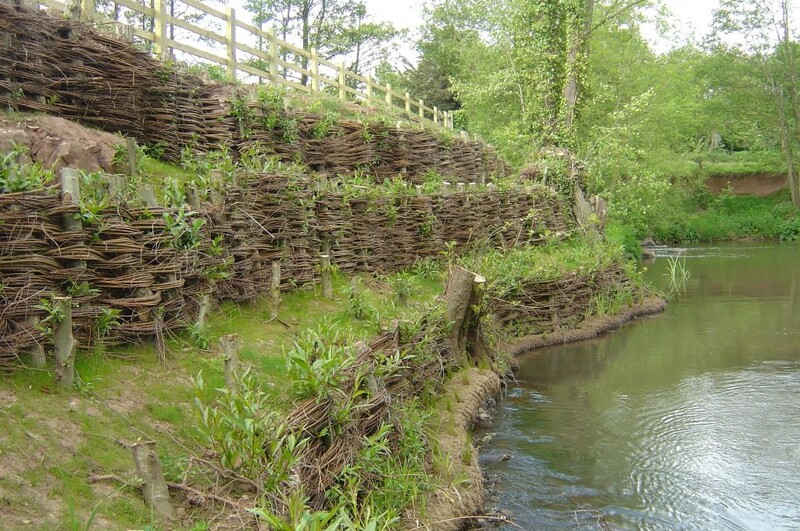 Spiling is a traditional technique which should only be used in low energy situations, but is a good method of retaining vertically eroded riverbanks in areas where regrading the bank is not possible. 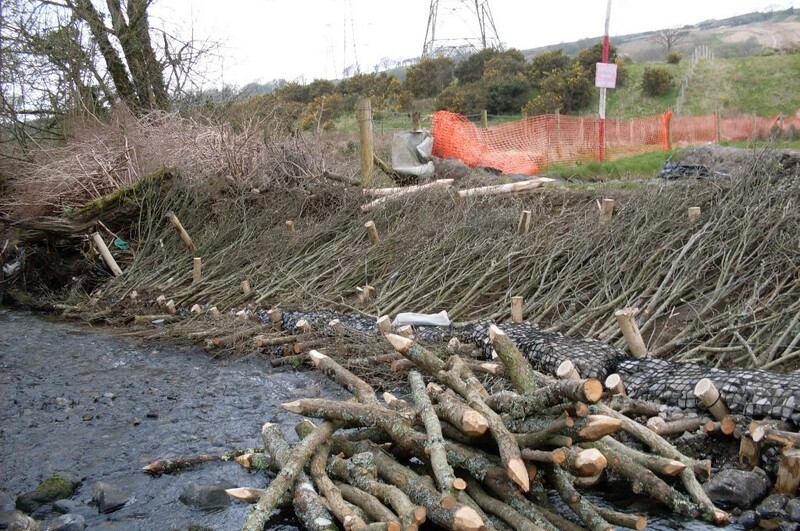 We have experience of using whole willow tree roots (Root Wads) to function as a both a living revetment and as woody debris. We can advise on the riverbank stability and ecological gain of such techniques.